It’s people like Tom Douglas that make me want to move to Seattle. And then there’s also Berry & Glynis and the kids in their cute little ‘Twin Peaks’ town, crisp fresh air, mysterious deep blue waters, Pike Place Market, majestic pine trees, wild caught seafood, crabs galore, romantic ferries to gorgeous Puget Sound islands, creaky wooden boardwalks that line pebble beaches, wild blackberries for the picking (Glynis, I know. ‘Weeds’. Gah! )… but I digress. 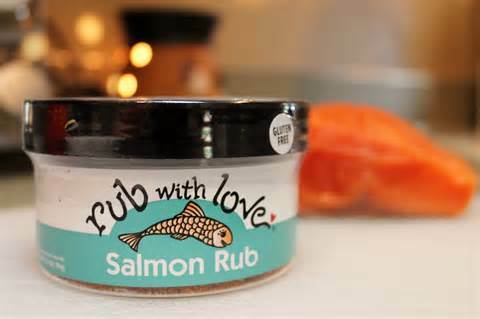 If you haven’t tried Tom Douglas’ ‘Rub with Love’ line of spiced rubs, you simply must do it now. You’re missing the grilling soul train if you don’t, really. They’re a bit harder to find outside of the Pacific Northwest, but you can easily order any of the 16 flavors (SIXTEEN, y’all!) directly on Tom’s website.